Prostate cancer radiation side effects: why, how to manage? 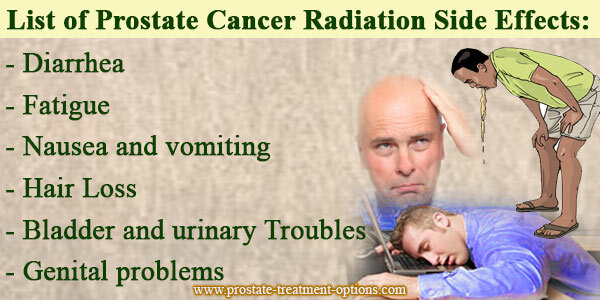 The prostate cancer radiation side effects are to take into account although radiotherapy is your treatment of choice. The following table will give you a more clear idea on what the side effects are. Diarrhea usually occurs because the cells of the small and large intestine are very sensitive; therefore, the radiation therapy harms them very easily. If you suffer from diarrhea, you must drink from eight to twelve cups of clear fluids, eat 5-6 small meals or snakes instead of three, always eat foods which easy to digested (foods low in fat, low fibers and low lactose). Finally, pay a great attention to the cleanliness of your rectal area, you can ask your doctor about sitz baths. If you are receiving radiotherapy, there is a big chance that you will suffer from fatigue as one of prostate cancer radiation side effects, but, why does it occur? Fatigue from radiation therapy usually occurs due to anemia, stress, depression, infection, drugs or loss of physical activity. Feeling fatigue can last from six weeks to one year after your last session of radiotherapy. How to manage it? To overcome this sensation of weakness, try to sleep for at least eight hours each day, always avoid wasting your energy in unnecessary work, you can also ask a family member or a friend to finish some tasks for you. Adding some exercise to your daily life, for half an hour, can really improve your condition. 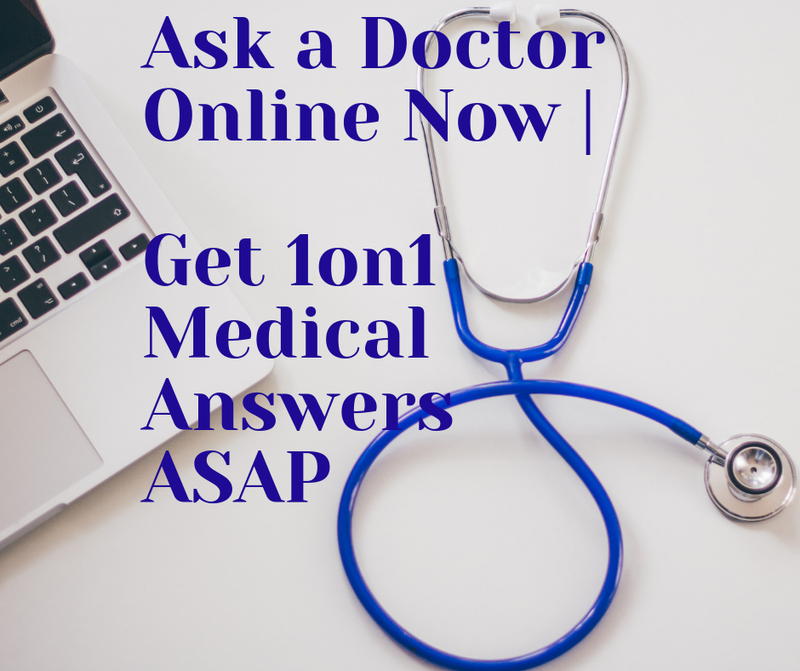 You can always talk to your doctor or to other people who have cancer. Losing hair in the area of treatment is very common during radiation therapy, this usually occurs because radiation causes the destruction of cells which grow rapidly, like cells in the roots of your hair. Most probably, you will lose your pubic hair (area between your legs) after two or three weeks from starting your radiotherapy, but your hair will grow back three to six months after your treatment is finished. Nausea and vomiting are amongst the prostate cancer radiation side effects; you might feel sick or even vomit from half an hour to several after the end of your radiation session. This usually depends on the dose of your radiation, length of your session and whether or not you also receive chemotherapy. How to manage?Always try to consume five to six meals or snakes per day instead of usual three big meals. Eat foods that your stomach can digest easily, like toast, apple juice, and gelatin, avoid very cold and very hot food or drink. You will feel less sick if you try to relax before your radiation session. 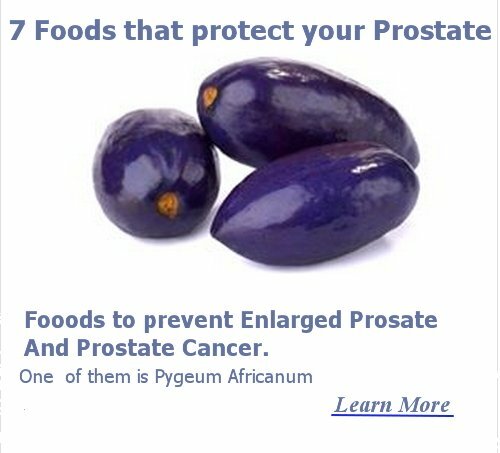 Sexual problems in men are from prostate cancer radiation side effects. Most of these problems are due to scar tissue caused by radiotherapy, also, other factors like fatigue, anxiety, pain and depression can definitely affect your sexual desire. How to manage? You must be honest with yourself and your partner. You must also talk with your doctor about your fertility after radiotherapy. Usually, if you want to have children after radiotherapy, you sperms might be collected before treatment. Your doctor can prescribe drugs to treat impotence. Radiation treatment damages your skin cells significantly, and these cells don’t enough time to grow between sessions. You will get rid of all your skin problems in few weeks after your radiotherapy is finished. How to manage? Take extra care of your skin during your treatment, don’t ever try to scratch, scrub or rub your skin. While having your bath, try not to remove ink markings you need for radiotherapy. Avoid putting very hot or very cold things on your skin. Keep your rectal area very clean especially after bowel movement. Bladder and urinary problems usually occur because the radiation harms the intact cells of your bladder walls and your urinary tract, this will cause inflammation, ulceration and infections as well. How to manage? Always drink from six to eight cups fluids to avoid stagnation of your urine. You must avoid black tea, coffee, spices, alcohol and tobacco. If you are suffering from incontinence, a physical therapist can help you to control your bladder better. Your doctor can prescribe antibiotics to treat any infection, or other drugs to relief pain, reduce bladder spasms and help your urination. What's new on Latest Treatment on Prostate cancer?